Vientiane (VNA) - Lao athletes are eying 3-5 gold medals at the 29th Southeast Asian Games (SEA Games) which will take place in Kuala Lumpur, Malaysia from Aug 19 to 31, according to the Lao news agency (KPL). “Our athletes and trainers have placed our expectation at winning at least 3 to 5 gold medals at the 29th SEA Games in Malaysia,” Director General of Elite Sports Department Sengphone Phonhamath told a press conference on the delegation’s preparation for SEA Games held Vientiane Capital last week. The Lao athletic delegation to the upcoming SEA Games comprises 285 athletes and 36 coaches. 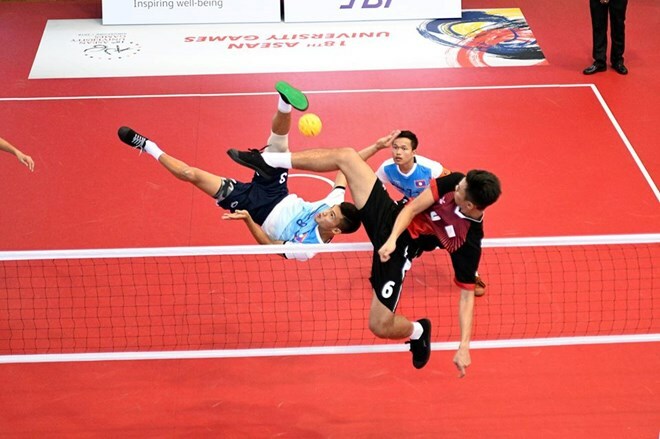 Lao athletes will compete in petanque, muay, taekwondo, wushu, sepak takraw and takraw-silone, pencak silat, billiards-snooker, cycling, archery, boxing, karate-do, judo, football, basketball, golf, shooting, table tennis, badminton, tennis, swimming, rugby and track-and-field. At the 28th SEA Games in Singapore in 2015, Lao athletes managed to win four silvers and 25 bronze medals, according to Sengphone.